Darsakarathna Dr. Dasari Narayana Rao appreciated the entire team of ‘Gabbar Singh’ after watching the filmat a special screening held in Prasad Labs. The veteran director was all praise for Power Star Pawan Kalyan. “It was Pawan’s show all the way. 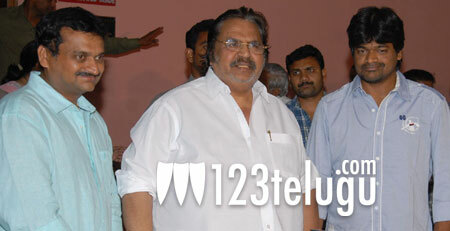 He did a superb job and his style was excellent” said Dasari. Dr.Dasari also praised director Harish Shankar and producer Ganesh Babu for coming up with a good project. ” I have watched Dabangg and I must say I liked Gabbar Singh better. Harish Shankar and Ganesh Babu have brought more nativity to the story”, he said. Gabbar Singh has taken superb openings and the movie is on track for a terrific performance at the Box Office.